FEARS are growing for Paul McCartney who is now 16 hours into an acoustic version of Hey Jude and appears unable to prevent another chorus. After close to 4,000 ‘na, na, na, nana nana, nana nana, Hey Judes’, McCarney’s early exuberance transformed into panic and now has been replaced by a grim resignation. 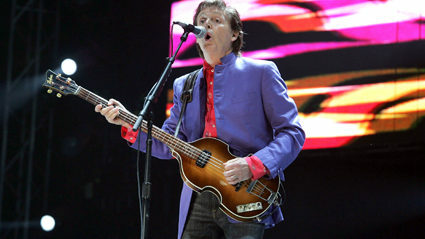 His voice hoarse and his hands raw, McCartney looked haggard as the audience’s insatiable, ruthless desire for more Hey Jude became brutally apparent. Fan Julian Cook said: “Every time he reaches a crescendo I feel satisfied, but roughly half a second later all I want is to hear the first part of the chorus again. While McCartney has been able to eat morsels of food between choruses, his attempts to shower and defecate have been more problematic. How are you pretending Brexit is still a good idea? 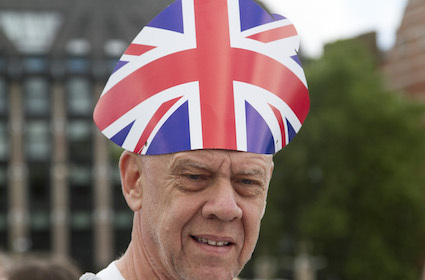 HOW well are you convincing yourself that Brexit is the greatest moment in British history? Take our test and find out. How do you feel about being lied to by the Leave campaign? A. Oh come on. ‘Let’s give our NHS £350 million’ was obviously just a completely vague campaign slogan. B. Both sides told lies, so by some weird logic that makes lying fine. C. The only people telling lies are the EU-SSR which wants to literally turn us into slave labourers building their butter mountains and wine lakes. What is your reaction to predicted NHS labour shortages? A. We’ll just get people from India and Africa, which is definitely what I had in mind when I voted to get rid of foreigners. B. We’ll have an army of robot doctors like in The Empire Strikes Back. C. People dying reduces overcrowding on public transport. How do you feel about rising food prices? A. We will just buy more from British producers, like all those mango farmers in Yorkshire. B. Inflation will level off once everyone is extremely poor and all the food that was going up in price is rotting in lorries in Dover. C. Why are we giving our hard-earned cash to bloody supermarkets in the first place when there are plenty of squirrels, wasps and pine cones to eat? Do you think Britain has been weakened on the world stage? A. No. Everyone fears us for being crazy, like Mel Gibson in Lethal Weapon. B. We’re only weaker compared to strong countries like Germany. If you compare us to places like Liechtenstein we’re really powerful. C. No one will think we’re weak once Empire 2.0 rolls into action and our imperial atomic zeppelins rule the skies, bringing plunder from new colonies like Britmerica and Brexstralia. Oh dear. You’re struggling to convince yourself Brexit is a good idea. Try not reading anything except the Daily Express. You are doing a good job of deluding yourself. Just be careful not to listen to anyone who talks sense. Well done! You have completely convinced yourself Brexit is fantastic. Unfortunately you are insane.